What Pet Sitting Visits Do I Need For My Kitten? 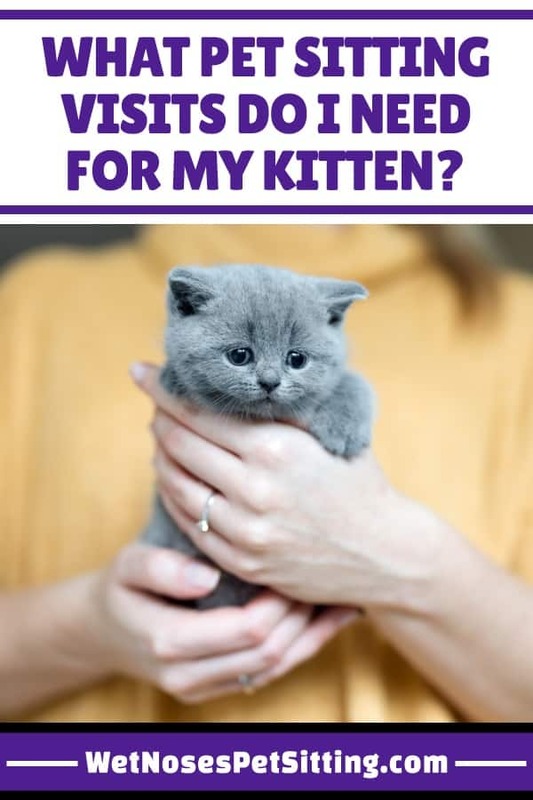 Are you going out of town but are worried about your kitten? Kittens are the cutest but they need a lot of attention and have a knack for getting in trouble when they are alone! It is important that you arrange pet sitting visits that work well for your kitten to make sure she gets plenty of playtime, cuddles and supervision that she needs. This is an ideal schedule for social kittens that sleep in the bed with you. Your sitter will arrive and check up on your kitten. She will start out with lots of cuddles and playtime while checking to make sure your kitten did not get in to anything. She can give her fresh food and water, alternate her toys and send you an update so you know your kitten is doing great! This visit is a nice way to break up the day so she is not home alone for so long. Your sitter will arrive around 7pm and spend the evening giving your kitten lots of cuddles and playtime. These generally alternate and sometimes there are catnaps in between! Some kittens have an evening routine or just really like to play now that it is dark outside. When your kitten is ready, you sitter will settle down for the night wherever you (and your kitten) think is best. If your kitten sleeps with a specific member of the family, then she would probably prefer to have someone in that bed to keep the routine the same. In the morning your sitter will go through the regular schedule of feeding, playtime, litter box cleaning, cleaning out water bowls and generally setting your kitten up for the day. This is a good schedule for kittens who like to get some extra attention. Your sitter arrives in the morning for breakfast and playtime! Or maybe she prefers a warm lap to cuddle with for awhile. Your sitter will take care of breakfast, cleaning the litter box, giving your car fresh water and then will settle in for some more playtime to tire your kitten out! Does she have the morning zoomies? 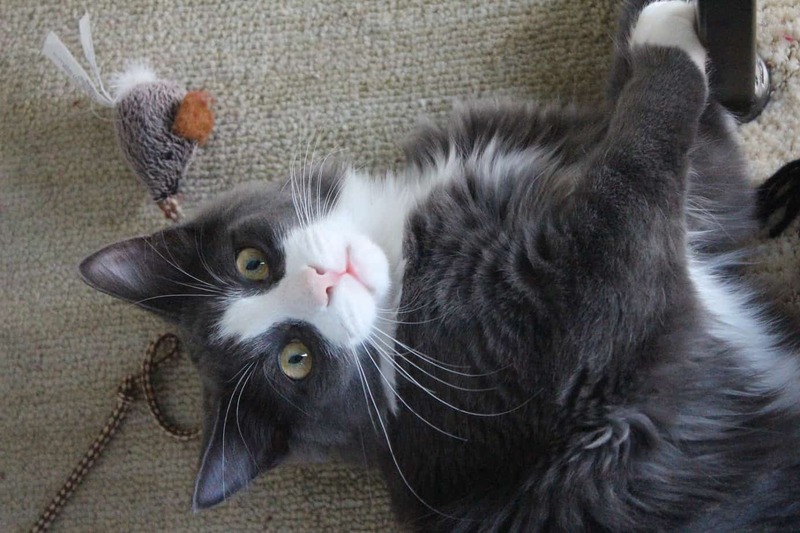 Then a good play session with your cat’s favorite toys is in order! Your sitter will send you a picture with an update so you can rest easy knowing your cat has company. Before leaving, your sitter settles your kitten in for the day and makes sure she is comfortable. Your sitter will arrive around dinner time. 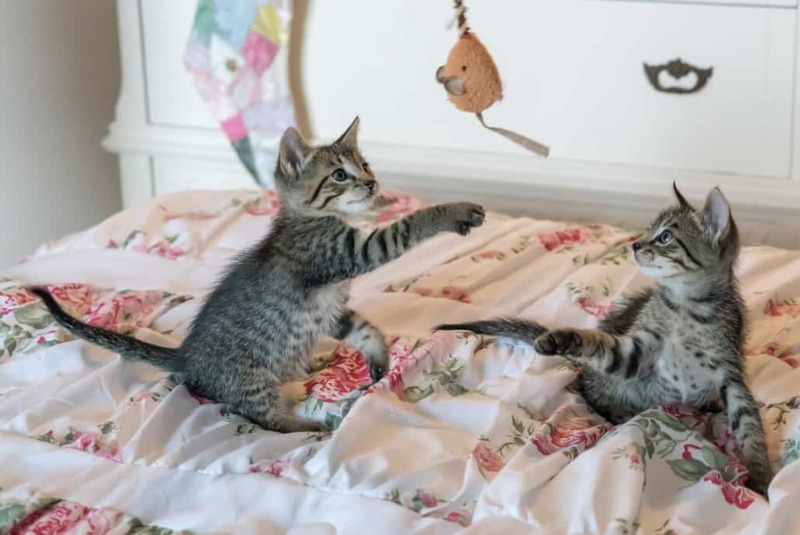 Your kitten will be ready for some more playtime and cuddles, as well as dinner! This is also a great visit for your sitter to bring in the mail, put out trash for the morning pickup, and any other small tasks that need to be done. At the end of the visit your sitter will make sure your kitten is comfortable for the evening. Some kittens like their beds arranged a certain way or a heating blanket turned on for them. This is a good schedule for kittens who have shorter playtimes. Your sitter will arrive in the morning and will check on your kitten. She will undoubtedly want some playtime and cuddles first thing! Then your sitter will feed her, clean the litter box and send you and update so you know your kitten is doing great! 3 visits a day is perfect for kittens who like to play for a short period then take a nap for awhile. Mid-day playtime! Your kitten has had a nap and is ready to go! Your sitter can give her cuddles and keep her playing until she is nice and tired for the afternoon. 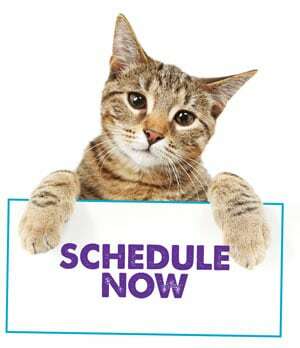 Your sitter will finish out the day with playtime, feeding, water and litter box. There will be a few moments for bringing in the mail and turning on some lights so your home appears lived in. Your sitter can send you an update and let you know how the visits went with a cute picture! 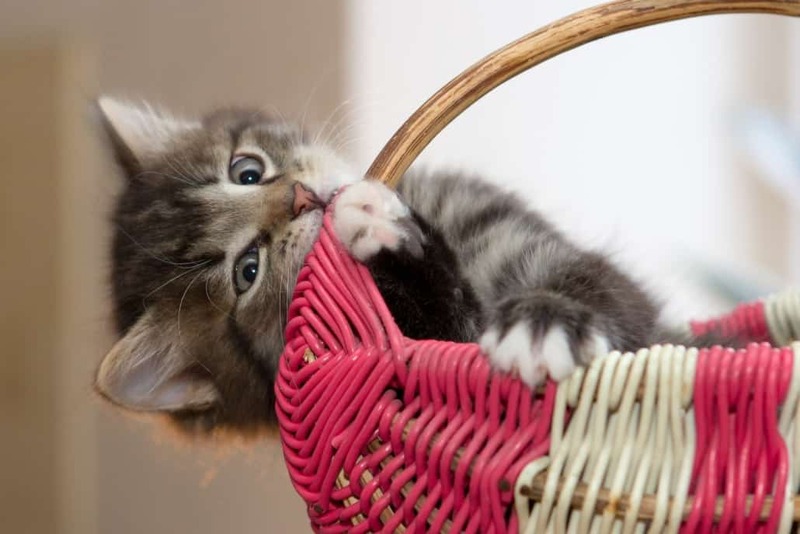 For kittens, there are some very specific steps we take to keep them as safe and happy possible. Kittens that are left loose in the house can get into a lot of trouble. We recommend kittens be kept in a single room when unattended to make sure they stay safe. Kittens can make a mess of their food and water (and everything else). Your sitter will need access to cleaning supplies you prefer in case they are needed. When scheduling visits, consider when your kitten is the most active. Some kittens play all the time, but most sleep during a chunk of the day. We want to have our visits coincide with the times that your kitten is naturally awake and active to make the most of that time and so we can supervise as much of her waking time as possible. 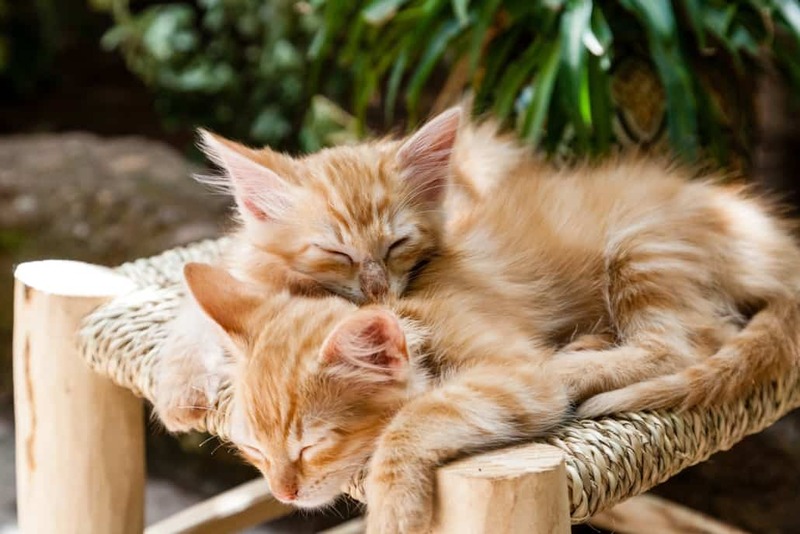 If you have litter mates kittens, they often entertain each other and will not need as much playtime with a sitter. Then again, they can get in more trouble, so it depends on the kittens. If you are taking a long trip you want to make sure you have plenty of visits. 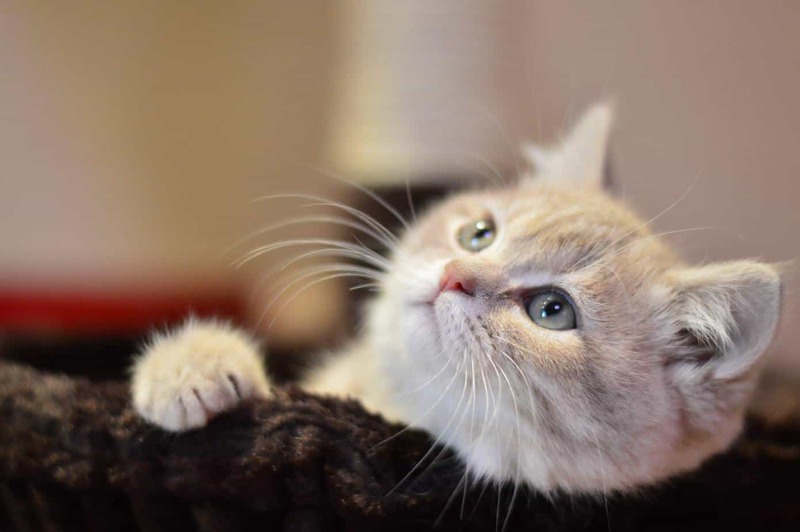 Kittens can get especially lonely and people often assume they are self-sufficient and do not schedule as many visits as they would puppies. Kittens do use a litter box, but they still need a lot of interaction and companionship to be happy and healthy. Work With Us to Keep Your Kitten Happy While You are Gone! https://wetnosespetsitting.com/wp-content/uploads/2018/07/263295_HugeList7_4_072718.jpg 900 600 Liana Sanders https://wetnosespetsitting.com/wp-content/uploads/2017/05/wet-noses-logo-420x120.png Liana Sanders2018-07-24 08:34:592019-01-28 20:22:40What Pet Sitting Visits Do I Need For My Kitten? What Pet Sitting Visits Do I Need for My Rabbit? How Much Does a Dog Walker Cost?